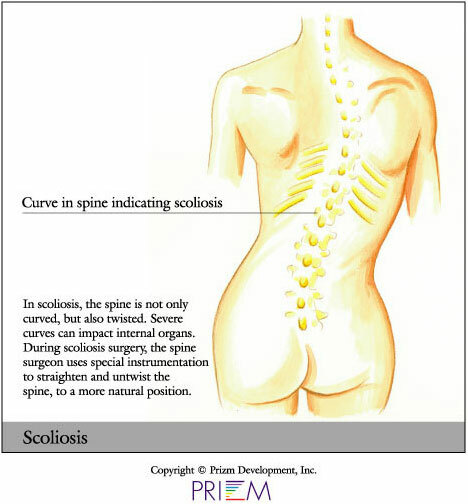 Scoliosis is a curvature of the spine that can first appear during childhood. Some people are born with it, while others develop it over time. Scoliosis can cause the spine to twist and bend in an abnormal way. The cause of scoliosis is unknown, but it does tend to affect more women than men. It is very important to individually assess cases of scoliosis. Sometimes a back brace is used to prevent worsening of the spine curvature. Dramatic curves of the spine can place pressure on internal organs. If this happens, surgery may be necessary. If left untreated, severe cases of scoliosis can shorten a person's life span. In less severe cases, scoliosis may cause the bones to twist slightly, making the hips or ribs appear uneven. When this occurs, the problem is more cosmetic and less of a health risk. Scoliosis surgery is extremely complex, and a person should invest a great deal of time in choosing an orthopedic surgeon who uses the most current surgical fixation rods. If a surgeon uses improper methods during scoliosis surgery, the patient could become paralyzed. There are roughly three tiers of treatment for adolescent scoliosis. General scoliosis treatment options include observation, bracing, and if the curve is large and progressive, surgery. 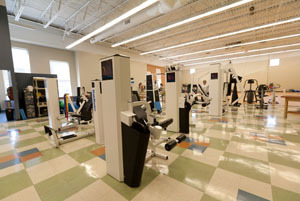 Patients with pain and function issues can be treated with therapy, as well as physiatry (physical medicine and rehabilitation physician-supervised programs). Sometimes, shoe inserts (orthotics) are prescribed for those whose legs are uneven.